Apple is reportedly in talks with LG and Sharp to provide IGZO displays for the iPad and MacBook. The new energy-saving technology would deliver better battery life to both portable machines and could arrive on Apple’s tablet as early as this year (or perhaps sometime next year) according to a report from Patently Apple. IGZO (indium gallium zinc oxide) displays afford a few benefits over traditional panels. For starters, the thin-film transistors inside these screens allow more light to pass through the back which results in a brighter panel. Furthermore, this trait can also reduce the number of backlit LEDs used which helps to reduce overall cost. And since the panels use a high pixel density, they require less energy which leads to longer battery life in mobile devices like notebooks and tablets. Sources claim that Sharp is already ramping up production of IGZO panels while LG is in the process of repurposing existing OLED and LCD production lines to build the screens. It was speculated by DisplaySearch analyst Charles Annis that Apple may use the technology from Sharp in the third generation iPad last year but as we now know, that didn’t pan out. Whether or not that decision was on purpose is still up for debate. 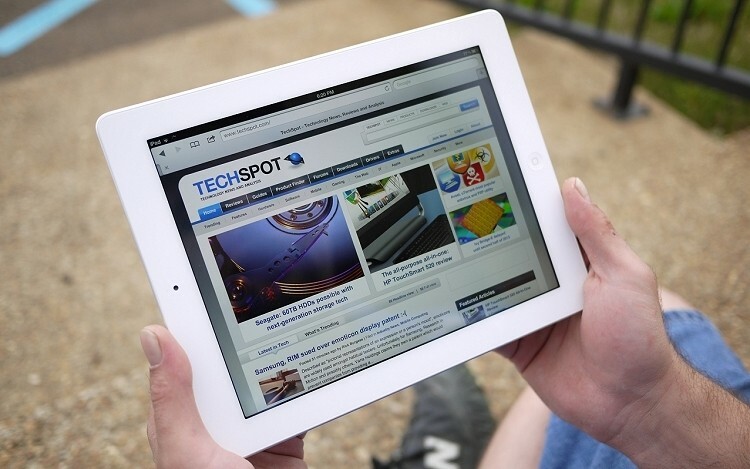 Most expect the next generation iPad to hit the scene either later this year or in early 2014 while a refresh of the MacBook line isn’t expected until sometime during the first half of next year. It is unclear whether the report is referring to the full-sized iPad, iPad mini or both, however.